I was recently contacted by MeMeMe Cosmetics as they have decided to launch their brand in Australia which is very exciting. The products will be available exclusively online at their website www.mememecosmetics.com.au with products ranging from $11.95 to $34.95 AUD. I’d purchased their Beat the Blues illuminator in Sunbeam (review coming soon) and really liked it so I was happy to be given the chance to try out some more of their products. I was kindly sent a foundation, liquid liner and blush and I’ll be reviewing them all seperately and I thought I’d begin with the Flawless Cream Foundation. I have a lot of foundations, more than any normal person who isn’t a beauty blogger or makeup artist would have. I know there is no way I’ll get through all of them any time soon and yet, even though I only have one face, I still jump at the chance to try out a new foundation. 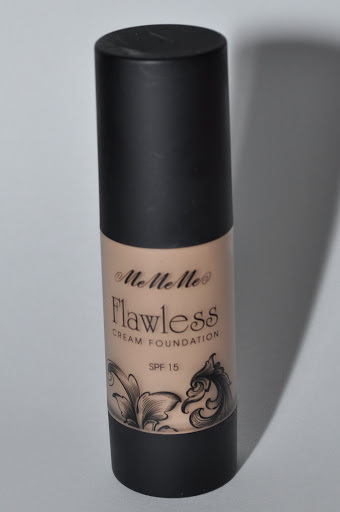 That being said though, I’ve never been very intrigued by foundations from drug store brands or brands that market themselves at a lower price point (I’m a bit of a foundation snob) so I was a bit dubious when I recevied the MeMeMe one. It looked nice and pretty in its plastic bottle and it had a pump which makes life so much easier. I really wish all brands included pumps with their foundations. The foundation has a scent but it just smells like moisturising cream or sunscreen to me. I don’t find it offensive but if you’re sensitive to scents in cosmetics then you might not like it. 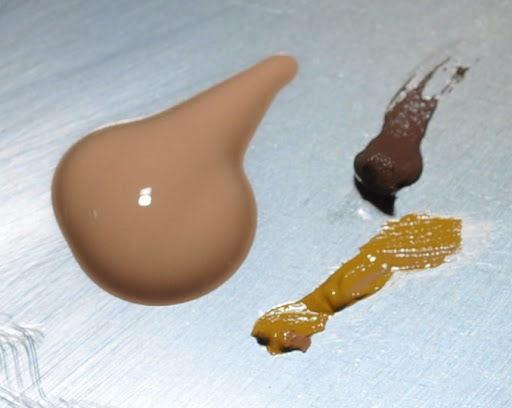 The consistency of the foundation is a bit thicker than a standard foundation so the name ‘cream foundation’ fits perfectly. This is a satin finish foundation and the end result is a really nice natural skin finish which isn’t too matte or too dewy. I wore it over the weekend without setting it with any powder like I usually do and it sat really well and didn’t wear off much by the end of the day. I did use it over a primer though and I also found that I got a bit oily half way through the day but it wasn’t too bad. I was sent the colour Golden Glow which seems to be the darkest shade available but it’s a bit too light for me and too pink. 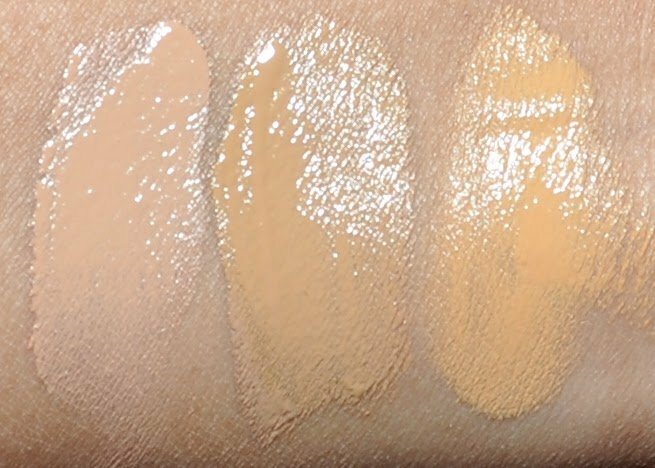 Here’s a swatch of it on the left with MAC Pro Longwear Foundation in NC42 swatched on the right for comparison. The Pro Longwear is a bit too yellow for me but is still a much better match than the MeMeMe one. I have a lot of scarring on my face from blemishes but, as you can see, this foundation covers it really well. I find that I don’t even need to use concealer as the coverage is really good. 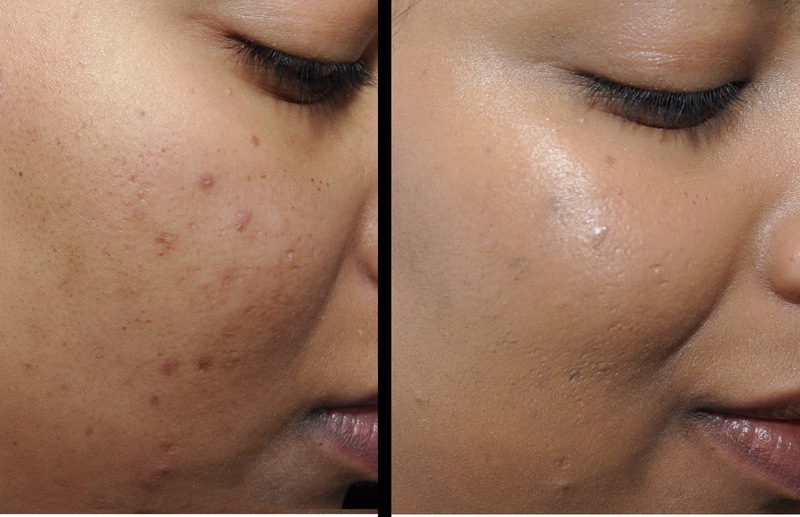 It’s billed as a medium coverage foundation but this is definitely a medium buildable coverage foundation. If you’re wondering, the reason the foundation looks like a good colour match in the photos above is because I mixed it with some colour correctors. I added some of the Varama Cover Cream Yellow Drop-in (My HG Colour corrector!) to counteract the pink in the foundation and then added some of my NYX cream contour in to darken the colour. 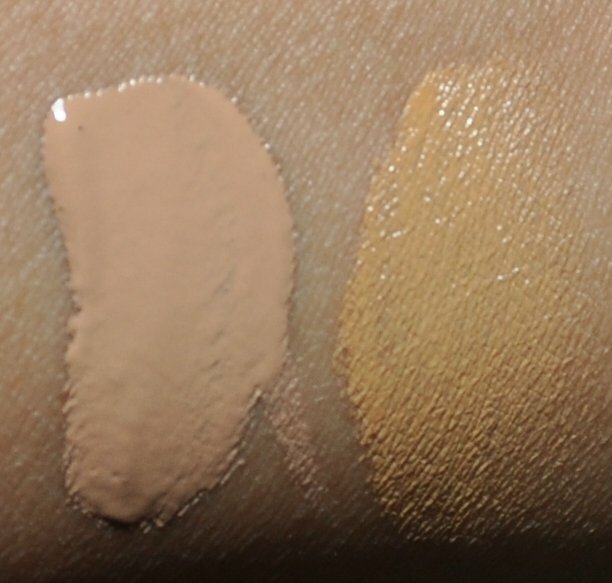 The issues with limited colour range is one of the reasons I tend to stay away from drug store or cheaper foundations. I’m not near the darkest end of the spectrum for skin tones by any means so I always find it disappointing when a brand can’t even cater for my skin tone let alone for all the other darker skinned girls out there. 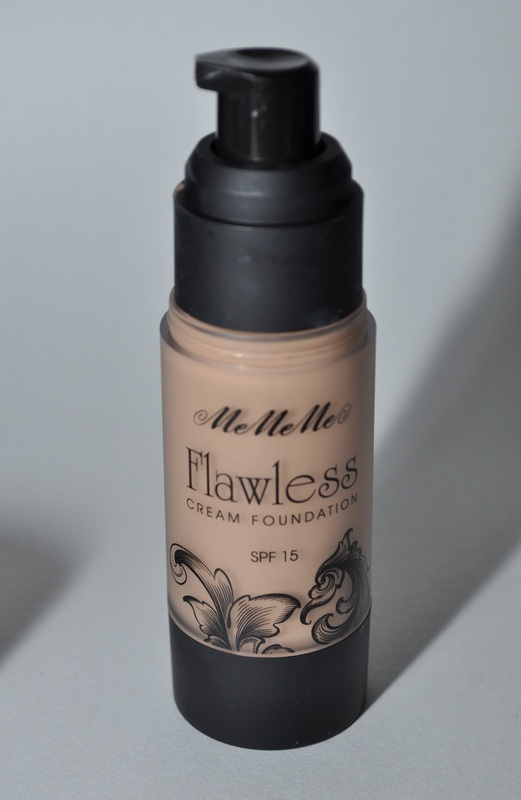 I would love if this product came in a wider variety of shades but colour issues aside, I did really like this foundation. I’ve personally been preferring a sheerer finish of late so I don’t know how much wear I’ll get out of this on a day to day basis but I think it’s a good option for those who prefer heavier coverage. 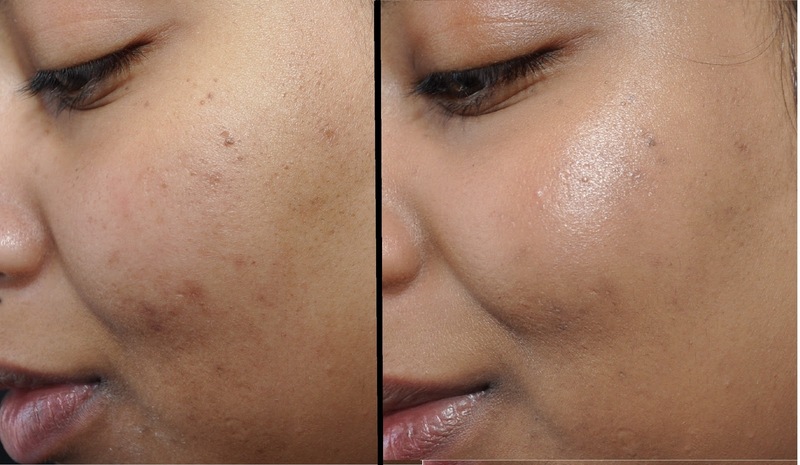 It would also work great for nights out or for events because, despite the SPF 15 it contains, I didn’t notice any issues with the way my skin photographed. This foundation will be selling for $34.95 AUD on the website from late October. It is also available in the UK and internationally on the UK website for £12.50 (about $20 AUD). Have any of you tried this foundation? What are your thoughts on it? Disclosure: Product was sent by the manufacturer for consideration only.